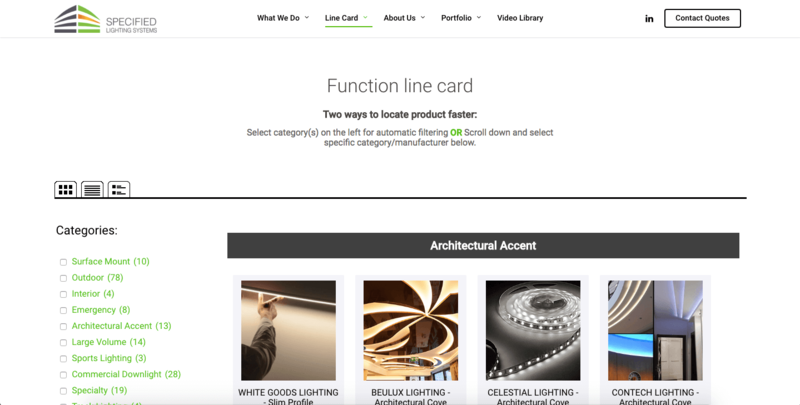 Specified Lighting Systems needed an interactive line card and portfolio resources to attract and convert architects, designers, and more. They also didn’t have a pipeline management system to track sales. Develop and design a website their industry had never seen before. Though their old site was easy to navigate, they needed architects and designers to view resources, such as a portfolio, video library, accolades, and service landing pages. Implement pipeline management and workflows with HubSpot CRM. SLS bids on hundreds of projects each year, with new opportunities popping up each week. This makes it difficult for salespeople to follow up as they continually work on the next bid. With this CRM and sales software, followup tasks and reports are generated weekly. This increase in follow up has led to an increase in closed-won status jobs. 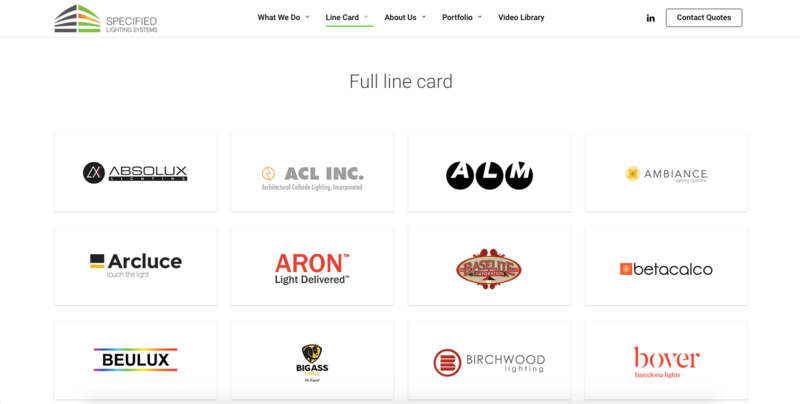 Create dynamic line cards to facilitate designer needs. 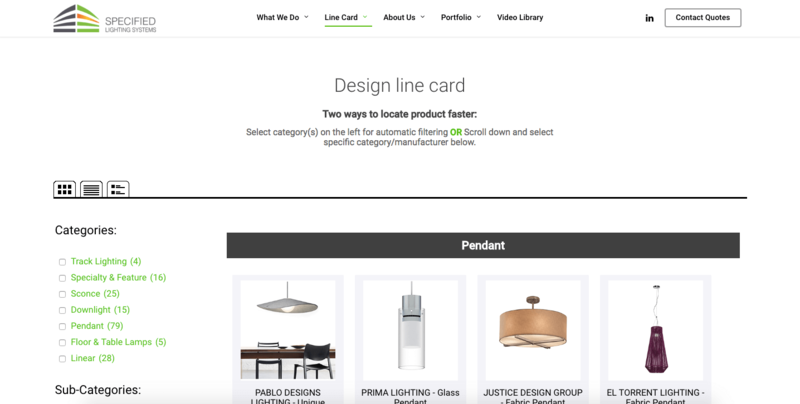 We went from one line card to five, accommodating users who can narrow down their search from the onset of lighting needs.These line cards have sorting, search, and filters to further assist architects and designers.